On Wednesday 28 November human rights non-governmental organisation aditus foundation donated to the Dean of the Faculty of Laws of the University of Malta copies of their two most recent publications, for the Faculty of Laws and Theology Library, and to be distributed to lecturing staff and law students. The Compendium of Asylum Jurisprudence, Law and Policy is Malta’s first and only gathering of judicial pronouncements in the area of asylum, presenting decisions of the Maltese Courts and of the European Court of Human Rights. It is a useful handbook for practitioners, academics and students interested in various themes in the field of asylum, including: age assessment procedures, administrative detention, access to territory and procedural issues. Access to Legal Assistance in Malta: Mapping the Availability of Legal Assistance for the Protection of Fundamental Rights in Malta explores the Malta’s provision of legal aid to persons who cannot afford the costs of private legal advice and counsel, advocating for the provision of quality and accessible legal assistance. “It is in the interests of human rights protection to secure legal education and practice that is grounded in a solid understanding of the relevant norms and values. Dr Neil Falzon, aditus foundation Director. 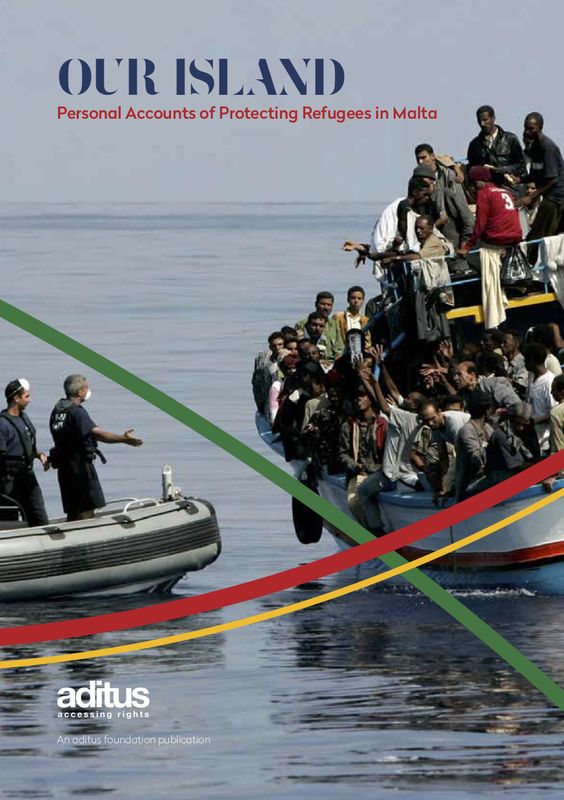 The Compendium of Asylum Jurisprudence, Law and Policy and Access to Legal Assistance in Malta: Mapping the Availability of Legal Assistance for the Protection of Fundamental Rights in Malta are freely available from aditus foundation. Receiving the books, Faculty of Laws’ Dean Professor Kevin Aquilina donated a copy of his recent book to the organisation. Human Rights Law: Selected Writings of Kevin Aquilina presents a compilation of the Dean’s insights into several themes regarding human rights in Malta. Spanning several years of writing, it is not only intended to share the author’s views on key subjects, but to also generate discussion on the present and future of human rights law in Malta. News item taken from the website of the University of Malta.